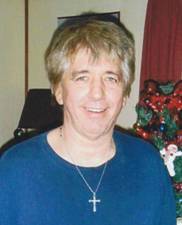 Terry L. Magiera, age 56, of Cottage Avenue, Salamanca, NY, died Sunday (March 13, 2011) at his home following a long illness. Born on December 2, 1954 in Salamanca, NY he was the son of the late Sylvester and Frances Young Magiera. Mr. Magiera was employed by S.D.S./ Casella Waste in Olean, NY for 10 years prior to his illness. Previously he had worked for 15 years for Biscup's Disposal and 12 years for BFI where he was awarded the "Safe Driver of the Year" several times. He enjoyed playing softball and baseball. Also, he enjoyed the Fantasy Football Leagues. Surviving are: a brother, John (Janice) Magiera, Jacksonville, FL; sister, Linda Thompson, Salamanca, NY; a niece, Dr. Holly Magiera-Bowman, Jacksonville, Fla., 2 nephews, Brian Magiera, Jacksonville, Fla., Joe Thompson, San Diego, Ca. ; special friend and caretaker, Vicki Jenkinson, Wyoming ; beloved companion, Kathy Metcalf, Allegany, New York. He was predeceased by a brother, Robert Magiera. Friends may call at the O'Rourke & O'Rourke Inc. Funeral Home, 25 River Street, Salamanca, NY on Thursday from 4 - 7 PM. A Mass of Christian Burial will be held in Our Lady of Peace Parish on Friday morning at 10:00 AM with Rev. Patrick Melfi, pastor, as celebrant.